Lothar Linke was born on 23 October 1909 at Liegnitz in Schlesien. Pre-war he was a flying instructor. At the outbreak of World War 2, Oberfeldwebel Linke was serving with 3./ZG 76. He participated in the invasions of Poland and Norway. He recorded his first victory on 19 April 1940, when he shot down a RAF Blenheim twin-engine bomber near Stavanger in Norway. Linke transferred to the Nachtjagd in August 1940. Following conversion training, he was posted to II./NJG 1. He was assigned to 4./NJG 1. Linke gained his first night victory on the night of 11/12 May 1941, when he shot down a RAF Wellington twin-engine bomber near Osterfelde.  On 1 November, 4./NJG 1 was redesignated 5./NJG 2. Linke had accumulated two victories by day and a further two victories by night at this time. By the end of 1942, Linke had increased his victory total to 11. Also, 5./NJG 2 had been redesignated 11./NJG 2 on 1 October. On 27 February 1943, Linke was appointed Staffelkapitän of 12./NJG 1. On the night of 4/5 May, he shot down four RAF bombers to record his 20th through 23rd victories. Linke was shot down on the night of 13/14 May 1943, after downing two RAF Lancaster four-engine bombers, when his Bf110 G-4 (W.Nr. 4857) “G9 + CZ” was hit by return fire northwest of Lemmerwegen. He and his crewman baled out but Linke struck the tail unit of the aircraft and fell to his death. Oberleutnant Linke was posthumously awarded the Ritterkreuz on 19 September 1943. 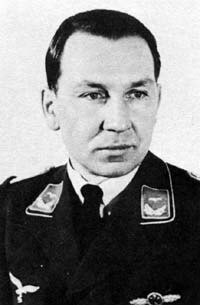 Lothar Linke was credited with 27 victories in over 100 missions. He recorded 24 victories at night, including 12 four-engine bombers and one Mosquito. Of his three victories recorded by day, two were recorded flying as a Zerstörer pilot.